Dental Implants can help solve the single tooth loss. Eating and smiling will be facilitated with dental implants, providing the look and feel of your natural teeth. Dental Implants, are they right for you? 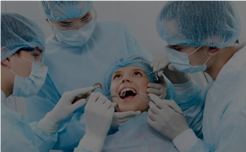 Dental implants are for patients who have had one or more of their teeth removed. Implants, unlike dentures, are permanent and are attached to the jawbone. The implant takes the place of the “root” and is used to attach a Crown or cap, that looks and feels just like a natural “tooth”. Before Doctor Markowitz or another doctor can attach an implant, there has to be sufficient bone, and that bone must be strong enough to hold the implant in place. If there is not enough bone, Dr. Markowitz will recommend a bone graft, for the implant procedure to succeed. The success of an implant also requires that nearby tissue and gums are in good health as they too can affect the success of the implant. This is why it is critical that before any implant you visit with Dr. Markowitz for a consultation where he can adequately inspect your teeth, gums, and bone using the latest technologies and then recommend a course of action so that your dental implant not only looks good but is correctly installed, so that stands up over time. 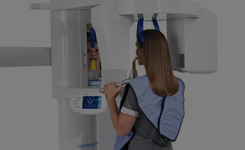 Dr. Markowitz uses state-of-the-art 3D imaging scan technology to produce an incredibly accurate image of your teeth and bone structure. 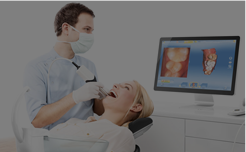 The 3D imaging allows for extensive planning of the dental implant surgery, eliminating any guesswork. Learn more about 3D Scanning. The implant is placed in one visit. 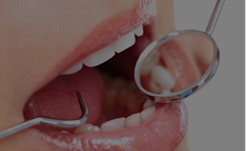 A temporary tooth is provided, if needed, for aesthetic or functional purposes. The implant may take up to a few months to integrate with the jawbone before the next step is taken. An abutment is placed and an impression is made and sent to the laboratory for fabrication of the final crown.